Do you want to find out about the real Wild West? Experience western Americana at its best through thousand years of history. 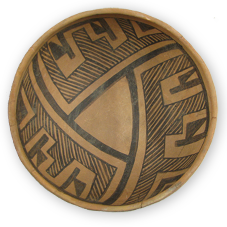 “Ride” in a stagecoach, “fly” a 1958 Cessna from Walker Field, or gaze upon an ancient cup and ladle from the Anasazi. Study Ute and Fremont Rock Art, see the real firearms that outlaws used, sit in a one-room schoolhouse, and visit the Pastime saloon – all at the Museum of the West! Our special exhibit currently in the Temporary Gallery is the annual Heritage Rendezvous. Out of Place and Time: Unusual and Strange Artifacts Found in Institutional Collections is a collaborative exhibit with 8 institutions. See more here. The Sterling T. Smith Education Tower offers a 360° view of our impressive surrounding geography. Tower top displays provide information on downtown historic preservation efforts, regional archaeology, and geology. Connect to a wealth of historical, genealogical, and natural history materials in the Loyd Files Research Library, located on the second floor of the Museum of the West. Go here to learn more. Please note: All sites are closed Thanksgiving and Christmas. In addition sites may close for emergencies. Please call to confirm status. We are now accepting the Downtown Gift Card.